WOW Air confirmed it will eliminate service to Los Angeles, San Francisco, New York City and Dallas in 2019. The announcement comes amid financial woes for the Icelandic low-cost carrier, which recently revealed plans to sell some of its aircraft and cut flights. WOW Air will stop serving St. Louis next month and ended service to Cleveland and Cincinnati this past fall. 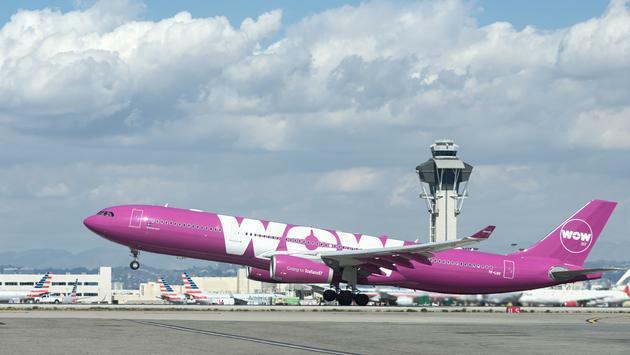 The new round of cuts means that WOW Air currently serves nine destinations across the U.S. and Canada, including Baltimore/Washington, Boston, Chicago, Detroit, Montreal, Newark, New Jersey, Toronto, Pittsburgh and Orlando. This weekend’s news comes after the struggling airline announced it would shrink its fleet from 20 to 11 planes and had laid off more than 100 employees. WOW Air recently began investment talks with Frontier Airlines parent company Indigo Partners.